The WhiteHouse.gov petition calling for the extradition of Walter Palmer, the Minnesota dentist who recently admitted to killing Cecil the Lion in Zimbabwe, has surpassed 100,000 signatures, meaning the White House will have to respond to the petition. 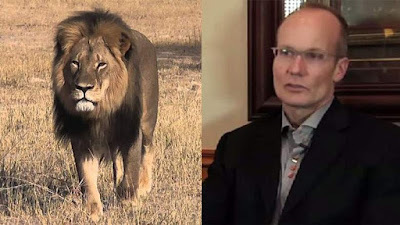 We urge the Secretary Of State John Kerry and the Attorney General Loretta Lynch to fully cooperate with the Zimbabwe authorities and to extradite Walter Palmer promptly at the Zimbabwe government's request,” the petition reads. The petition was started on July 28 and currently has over 140,000 signatures. White House Press Secretary Josh Earnest said the petition has “reached the threshold” that would warrant a response but did not offer a time frame. He did note that decisions about prosecution and extradition are made at the DOJ. The U.S. Fish & Wildlife Service, which has offered assistance to Zimbabwe in its investigation, has asked Palmer to contact them "immediately." "The U.S. Fish & Wildlife Service is investigating the circumstances surrounding the killing of 'Cecil the lion,'" the agency told ABC News in a statement today. "At this point in time, however, multiple efforts to contact Dr. Walter Palmer have been unsuccessful. We ask that Dr. Palmer or his representative contact us immediately."